Dave focuses on advising clients nationwide, including financial institutions and technology oriented entities in connection with a full spectrum of corporate, securities and regulatory matters. He routinely provides counsel before and has strong relationships with federal and state securities regulators involving such matters as the raising of capital, including initial and secondary public offerings and private placements involving common and preferred securities, straight and convertible debt (including negotiating covenant packages), and securitizations as well as tender offers. He has represented issuers and investment bankers involving an aggregate of $5.9 billion in capital raises, including representing the underwriters in the first internet bank public stock offering. His expertise includes advising companies in corporate merger and acquisition matters, including due diligence reviews, purchase/merger agreements, presentations and resolutions for board approval and related financial, regulatory and securities law matters. Dave also has substantial experience with contract negotiations, successfully negotiating various business agreements, including agreements related to secured loans and bulk loan sale transactions, non-disclosure, investor and stockholder rights, standby purchasers, escrow, manufacturing, work for hire, technology and licensing, marketing, and executive compensation involving employment, change in control, stock option, and restricted stock plans. He also provides advice on a variety of corporate, securities, financial and regulatory matters, including corporate governance, investor relations and strategic development while providing complex analysis of legal and business issues and major changes in federal law, regulations and policies. He has also spoken at various national and state seminars on the subjects of capital raising, mergers and acquisitions, and corporate governance and has published several related articles in industry publications. Dave is rated Preeminent AV by Martindale Hubbell in Securities Law, Corporate Law and Finance and was selected to the “2015 Top Rated Lawyers in Securities Law” by The American Lawyer and by Corporate Counsel. He has also previously been selected to the BTI Client Service All-Star Team based on a survey of Fortune 1000 companies and the world’s largest financial services firms and was a director of the Home Improvement Lenders Association. 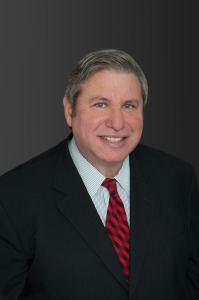 Immediately prior to joining the firm, Dave was a Senior Attorney and Assistant Branch Chief with the Division of Corporation Finance at the Securities and Exchange Commission and specialized in overseeing technology and real estate related entities. Prior to law school, he practiced as a CPA, developing accounting and tax experience with a “Big 4” public accounting firm and Fortune 500 company. Counsel to BayCom Corp in connection with its $72.1 million initial public offering. Underwriter's counsel in the Level One Bancorp and selling shareholders sale of $38.6 million of common stock in an initial public offering. Counsel to OnPoint Consulting, Inc. in connection with its acquisition by Sapient Government Services. Counsel to HomeTrust Bancshares in connection with its acquisition of Jefferson Bancorp. Underwriter’s counsel in Meridian Interstate Bancorp’s $364 million initial public offering.